A new food court opened nearby. Was there with a friend yesterday and got a Thai Special Combo. 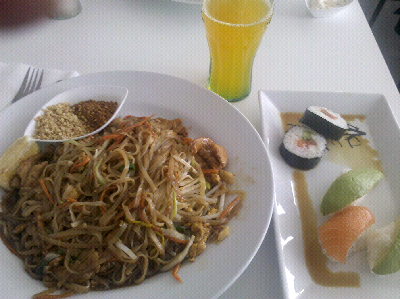 The Pad Thai was great and I wanted to eat it all up, but I was way too full. 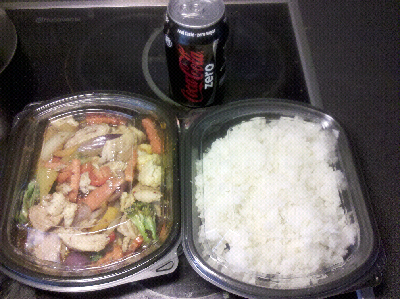 Today, The Big Niece, the SIL and the Brother had lunch there and brought me some take-out. Again, huuuge serving.